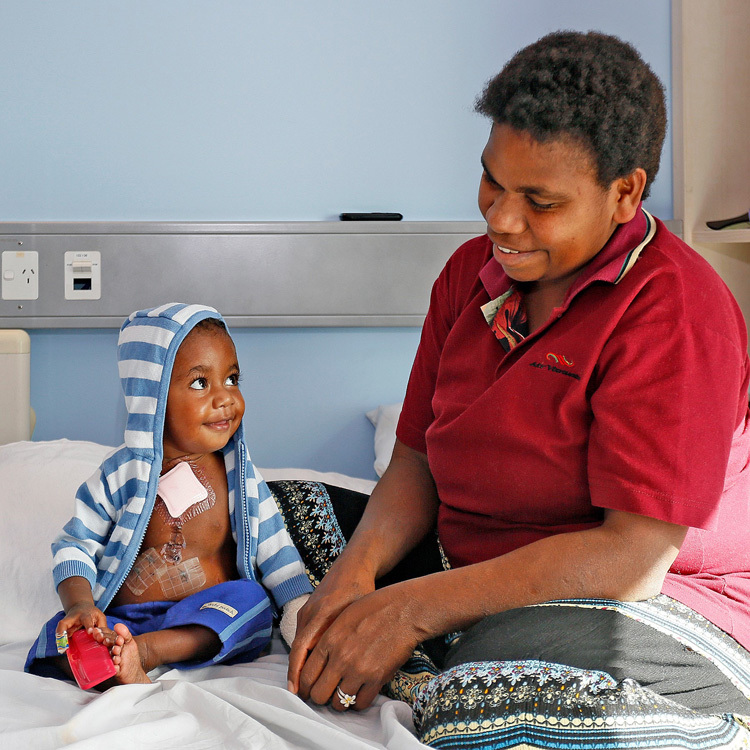 ROMAC Friends is a wonderful network of caring people who want to support our mission to provide life giving and life changing surgery to children from the Southwest Pacific, Papua New Guinea and Timor Leste. The sophisticated surgery and complex nursing care we deliver is not available in the children’s country of residence, so our medical support is central to their good health and future happiness. By contributing just $100.00 per year, you can become a ROMAC Friend, and join like-minded people who want to help sick children achieve normal and happy lives. You can renew your annual membership automatically, or you can recommit year-by-year. The choice is yours, and you can opt out at the end of any one-year membership period. As a ROMAC Friend you will be kept up to date on our activities and our patients’ stories, so you will see how your support is helping the children. ROMAC Friend is an ideal gift for a family member, a workmate, or a colleague, to commemorate a birthday, an achievement, an anniversary or a special life event. The recipient of your ROMAC Friend membership gift will receive a card that explains the gift. It’s a meaningful gift that will be appreciated. Please complete the form on this page to become a ROMAC Friend, or create the gift of ROMAC Friend for another person. Your $100.00 contribution is Tax Deductible in Australia. We look forward to welcoming you as a ROMAC Friend.